Celpa sponsored the construction of the Koalas house at the Zoo and, for the last 20 years has provided eucalyptus leaves for Koalas feeding purposes.It has been the Zoo job to contact and negotiate in order to bring some Koalas to live in our Zoo, and also to send some to others Zoos in Europe. After ten years (January 2000) and several unsuccessful attempts, the female Êmdota has finally mated with the male Maka. In June 21st of 2000 irt was possible to watch the first moves inside the marsupial pouch and in the end of that summer predigested food was being eaten. Days later, Moonian (means difficult in aborigine) was already being carried by his mother. 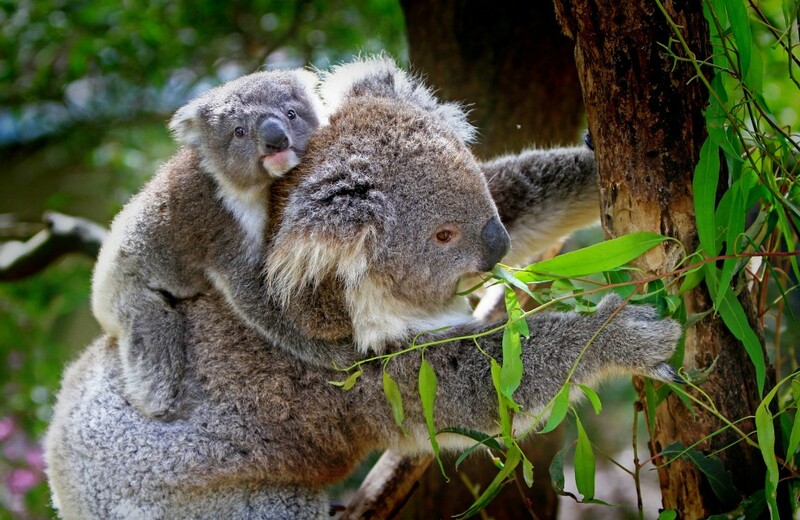 As a result of this expected event, June 21st is the Koala’s day, where a lot of children and teachers participate. The importance to safeguarding the species and nature should be considered every day and must be reminded to children. This is why we invite you to come and visit Moonian and his friends at the Koalas House, in the Lisbon Zoo.